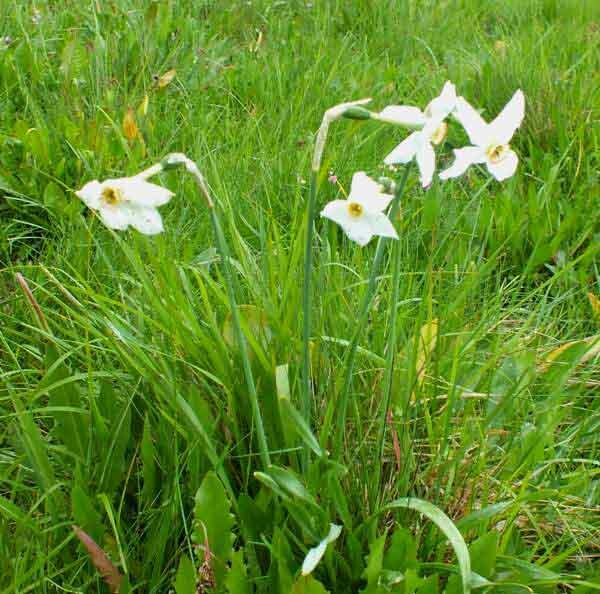 This lovely wildflower grows on slopes, in rocky crevices and other well-drained habitats. 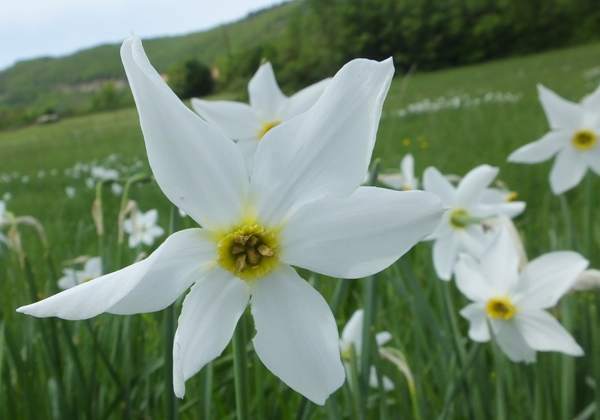 Narcissus elegans is a member of the Daffodil family and occurs in some of the Mediterranean countries including Spain and Italy but also in France. It is a pretty flower with an orange corona and is quite fragrant. 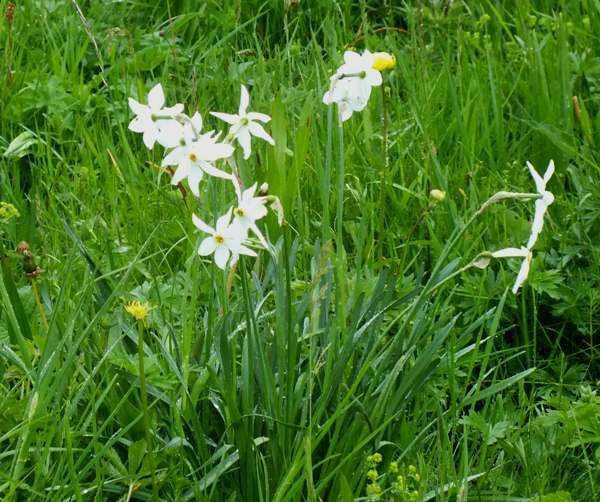 Unlike other narcissus species, Narcissus elegans grows in 'bunches' rather than as a solitary flower; it blooms in April and May. The leaves are noticeably shorterb than the flower stems.